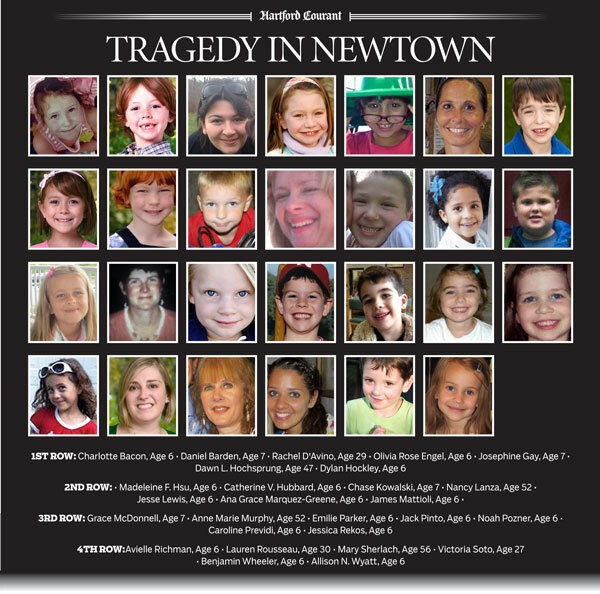 Twenty-seven people killed in Newtown. We should spend a bit of time on the first one, as a regular school massacre sets our expectations, and is therefore a base for comparisons. The prototype for a regular school massacre is Columbine. That’s the one we remember first. Before Columbine, school killings occurred in small enough numbers that we did not usually call them massacres. After Columbine, we developed school lockdowns and other preventive measures. Columbine had another effect, beyond new attention to school security. It changed the way local law enforcement teams responded to school shootings. Police at Columbine left dying people in the school while they secured the area. They concentrated on force protection – that is, keeping themselves safe – rather than go into the building to rescue those who had been shot. Three hours elapsed from the onset of the crisis to the time when police officers entered the school to find victims. A teacher who might have been saved bled to death during that time. Police came under heavy criticism for their behavior. They followed standard operating procedures, but Columbine made it clear that those procedures should change. Police teams changed their training, to enter the school building immediately on arrival. Their mission: first find and disarm the shooter, and just as important, guide medical teams to the victims. In the years that followed Columbine, police had several opportunities to practice the new procedures. If Newtown was a regular school massacre, the coverage of it was weird. Video footage did not show police and medical teams evacuating victims. All the energy, for the media, centered on the fire station a block from the school. If Newtown unfolded as a regular school massacre, we have to ask why the media did not tell us what was happening at the school. Standard operating procedures for both medical teams and police officers would mean plenty happened there. That brings us to the second possibility: something Rod Serling would have called a twilight zone massacre. In this scenario, the event unfolded as it appeared on the video footage. That is, all the energy actually was centered on the fire station. The school itself is strangely quiet: no mass evacuation of students and teachers, no evacuation of victims, no medical teams, no sense of crisis, no evidence of a massacre at all. I call this possibility a twilight zone scenario because in our world – everyday reality – this scenario could not happen. People operate according to standard procedures, especially in a crisis. It is not possible that victims who had been shot with an assault rifle would be left to die on the school’s linoleum while emergency medical teams sit idle a block away. That kind of thing could only happen if the people of Newtown had left reality, and operated in exactly the kind of place that Serling created in his stories. You’ll object that the medical teams had no cause treat the victims, as all twenty six people were confirmed dead. That argument highlights the twilight zone quality of the event. Who would have declared the victims dead? The police? The state medical examiner, who arrived much later? Some other people we don’t know about? We all know that paramedics are trained to get shooting victims to a hospital right away. There a doctor can give treatment, or determine that treatment is of no help. You do not send in a police officer to determine that someone is dead while they lie in their own blood on the school floor. From one report, a paramedic learned while he was on his way to the school that his services there would not be needed. All the ambulances went to the fire station. I suppose police officers in the school went around to check pulses while paramedics over at the fire station waited for word. That could only happen in some kind of reality that is not ours. It could not happen in a post-Columbine world, where standard procedures that govern how to respond to a school massacre are well set. In a touch that Rod Serling would have appreciated, all twenty-six bodies are spirited away to funeral homes in the middle of the night, nearly eighteen hours after they are shot. The only medical attention they receive during the entire period, according to news reports, is a visit from the state medical examiner to confirm they are dead. No one asks why officials waited until three in the morning to remove bodies. 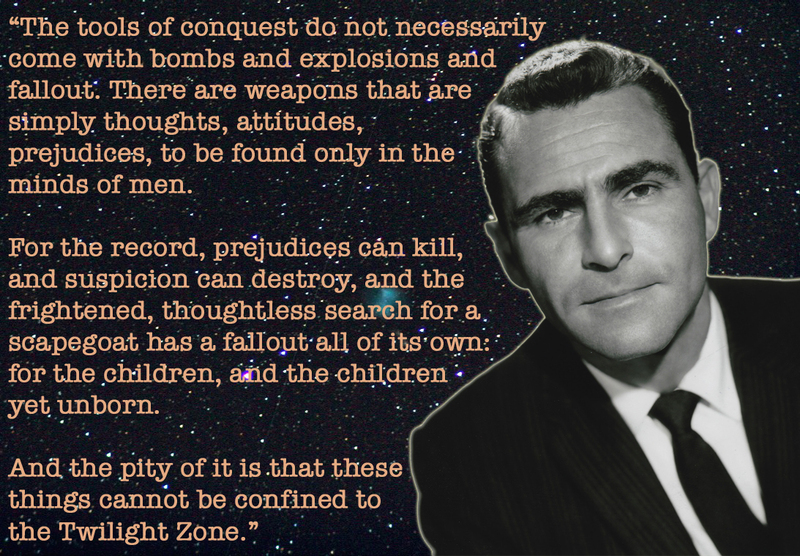 I said earlier that the twilight zone scenario breaks down into two possibilities. Either Adam Lanza shot the victims, or professional assassins shot them. Why do I say professional assassins? Only shooters who knew what they were doing could have killed so many people, so quickly. If Adam Lanza did it by himself, that’s remarkable. At this point, we don’t have forensic evidence that proves Lanza killed all those people. We don’t have forensic evidence that proves anything about the massacre. In fact, we don’t have forensic evidence from the crime scene that shows anything at all. Whatever evidence the police collected, they have not shared it with us. The third possibility is that some organization staged this event. It was artificial, made up, faked, a hoax. Thus people point to the use of crisis actors and other signs of advance planning. This is the possibility that earned such quick condemnation and ridicule for those who proposed it. If you say something that is out of line, be prepared to take some brickbats. Because we don’t have any evidence from the crime scene – or any evidence at all, really – we can’t say that support for this possibility is better or worse than the evidence we have for the other two. It’s just a possibility that several people have suggested, to be considered along with the other two. When you think about these possibilities, each one of the three seems outlandish. If Newtown was a regular school massacre, we have to ask why images from the crime scene look so artificial. The second possibility is most troubling. It suggests that a massacre occurred, but that victims received no medical help, even though it was available. Imagine if, after Jack Kennedy’s head was blown off, some member of the Secret Service had checked him out and said, “Yes, this man’s dead. No need to drive him to Parkland hospital.” We would say, that could never happen. Yet that seems to be what happened at Newtown, given the scanty knowledge we have of the events there. The third possibility seems equally improbable. How do you fake twenty-six deaths? No wonder the reactions and rebukes came across so swiftly and forcefully. Yet this possibility does not seem more outlandish than the other two. Without actual evidence, we can’t evaluate any of these three. Moreover, some pieces of evidence can support multiple possibilities. Even if we had evidence, then, the answer to our main question — “What happened at Newtown?” — could remain indeterminate. If we think clearly about these possibilities, though, we can also think clearly about the kinds of evidence that would help us evaluate them. Related article by Niall Bradley in Veterans Today: Sandy Hook massacre: Official story spins out of control.